Spacious, move-in ready, low-maintenance Ranch complimented by the enjoyment of Canandaigua Lake! White kitchen with breakfast bar opens to the bright great room and dining area â¦ perfect for entertaining. Private deck & screened porch overlooking peaceful, wooded backyard. Master suite with direct access to the screened porch. Additional 1st floor bedroom may be used for office. 1st floor laundry. Walkout lower level family room/recreation area with gas fireplace, built-ins and new engineered hardwood flooring leads to outside patio. Private guest suite with full bath and sliding glass door. 2 car garage. Vinyl exterior. Lawn care and snowplowing included with HOA fees. Enjoy golf, tennis, tennis, boating, swimming, hiking, snow skiing and much more! 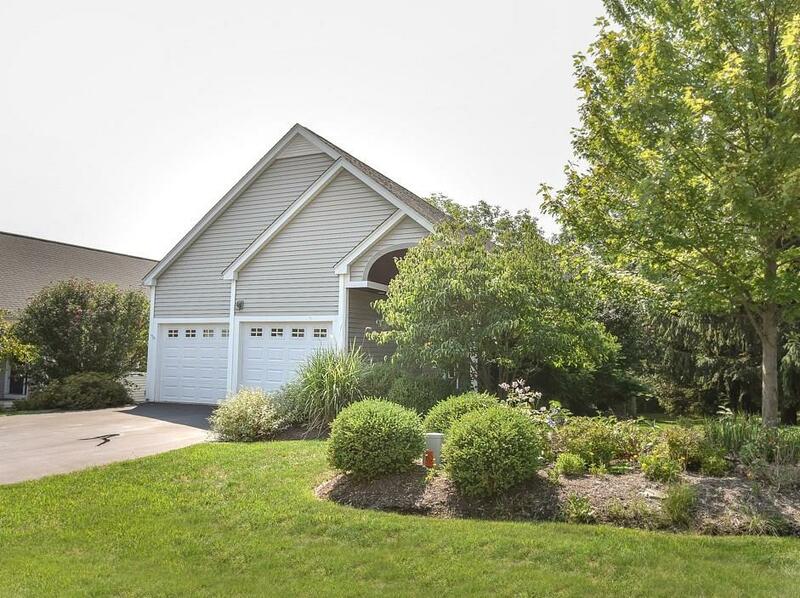 Enjoy Easy, Fun lake living in the Heart of the Finger Lakes Region!! Directions To Property: Seneca Point Rd To Bristol Harbour Blvd. Left On Lakewood Trail. Follow Numbers To #5565.